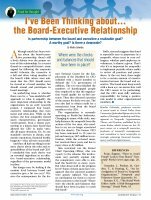 Is partnership between the board and executive a realizable goal? A worthy goal? Is there a downside?